12K raised for DC SCORES at Unite the District Cherry Blossom City Cup! Played over two days – 3/30/19 and 3/31/19 – the Cherry Blossom City Cup featured 40 adult teams from across the DC area. 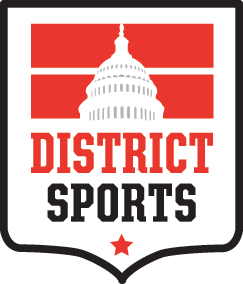 The Cup is part of our Unite the District Tournament Series, in partnership with D.C. United. Collectively, over 400 players played nearly 100 games of soccer this weekend – scoring tons of goals and having a whole lot of fun! The event served as a benefit for local youth development non-profit DC SCORES raising $12,000 to support their efforts. Many thanks to D.C. United for their support, and congrats to the following tournament winner!